On November 16 and 17, the EV building ground floor atrium will be transformed into an agora of Montreal’s maker scene. Makers, artists and performers from around the region and from across Concordia faculties will be showing their projects at this all-ages, hands-on show-and-tell extravaganza. Make Media co-hosts all maker faire around the world, and this is the second time one of their licensed maker faires will be held in Montreal; the first was in 2014. This will be the first, however, to be co-hosted by Milieux and held at Concordia. Bart Simon, Ann-Louise Davidson, and Lynn Hughes are the event’s primary organizers. Nathalie Duponsel, a member of the Education Makers group, is coordinating faire logistics along with Marc Beaulieu and Harry Smoak. Over 60 makers will be showing their work, including some big names in maker culture alongside a number of Milieux researchers. Darryl Maloney, widely known in maker circles as the Broken Nerd, will be exhibiting his 3D printed cosplay accessories and giving a talk on accessibility and mentorship within maker culture. Maker-built Star Wars droids from R2D2 to BB8 will be on hand, as well as a rocket that can travel over four kilometres into the earth’s atmosphere. 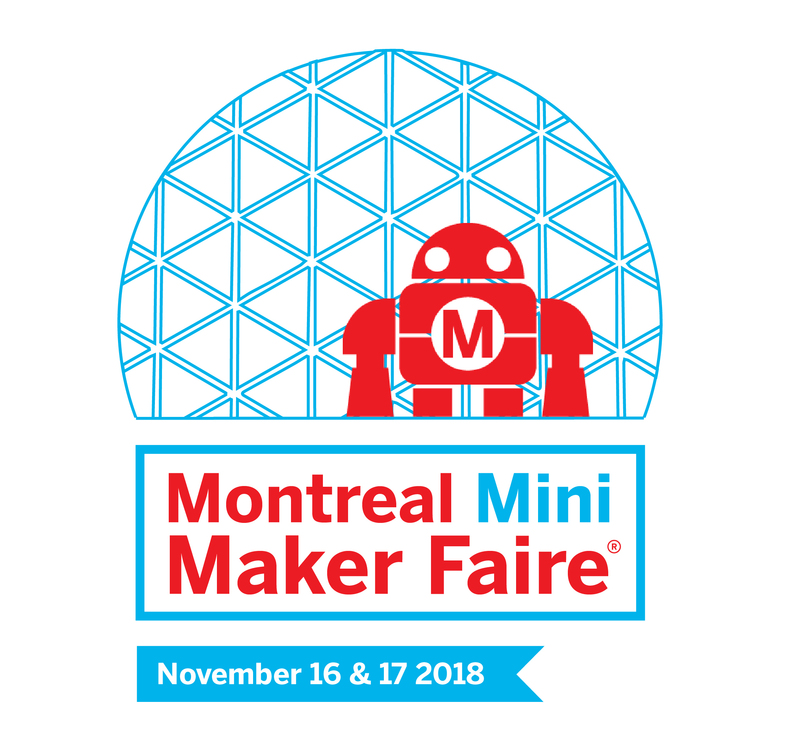 Check out the Montreal Mini Maker Faire website for all the details, and reserve your free tickets here before they’re all gone. Fab labs and maker spaces from across the city, including Helios maker space, Fabrique Ahuntsic, Chalet Kent, and Ecofab, will all be showing their latest projects. Milieux’s own Education Makers will be hosting a youth booth of younger makers, and Theo Chauvirey, Yvonne Pelling and WhiteFeather Hunter of the Speculative Life biolab will be showing their biotextile garments and sculptural work. Once the faire wraps up, the serious head-scratching will begin at the inaugural Maker Cultures conference, taking place on Sunday and Monday, November 18 and 19 at the EV building’s. York Amphitheatre. The conference will use the occasion and the experience of the faire to engage in constructive critique of maker culture and the futures of making. In doing so, it will be the first to dwell at length on the cultural contexts of what gets to be shown and told at faires, who is a maker, and how making and the cultures of making engage with critical practice and pedagogy, as well as progressive and transformative politics. Everything you need to know about the Maker Cultures Conference is here.